The Bugatti Divo is made for corners. The website is an interactive road. 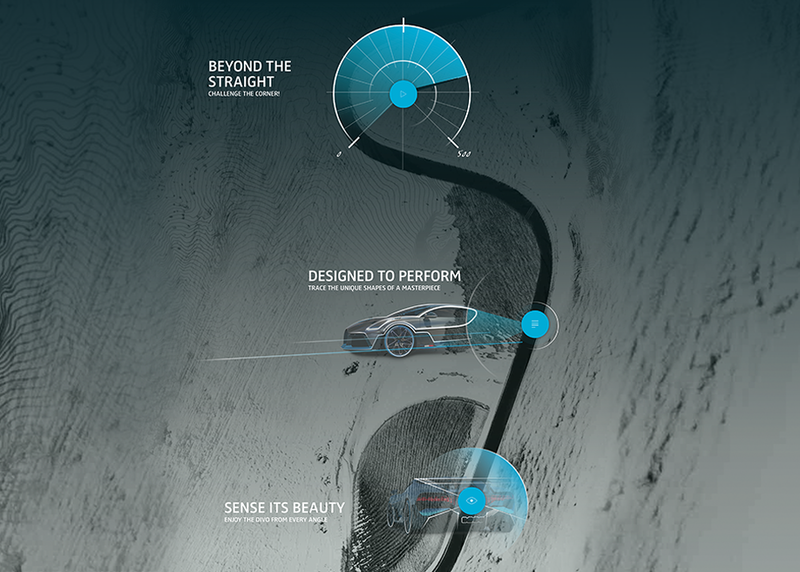 Hotspots with SVG animations lead to fullscreen content, where users get information on this ultimate car.